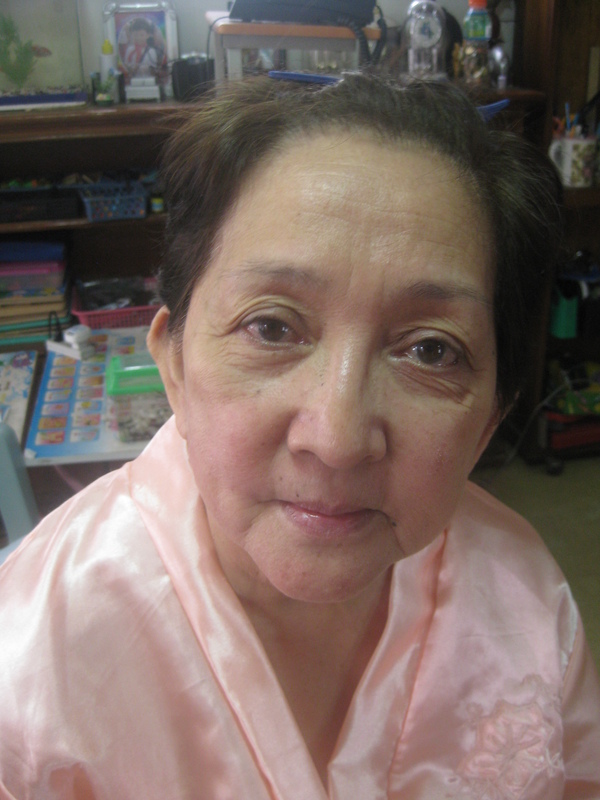 My co-worker Melai, asked me at work(haha, part-time medtech, full-time make up artist :p ) one afternoon if I could do make up for her mom. 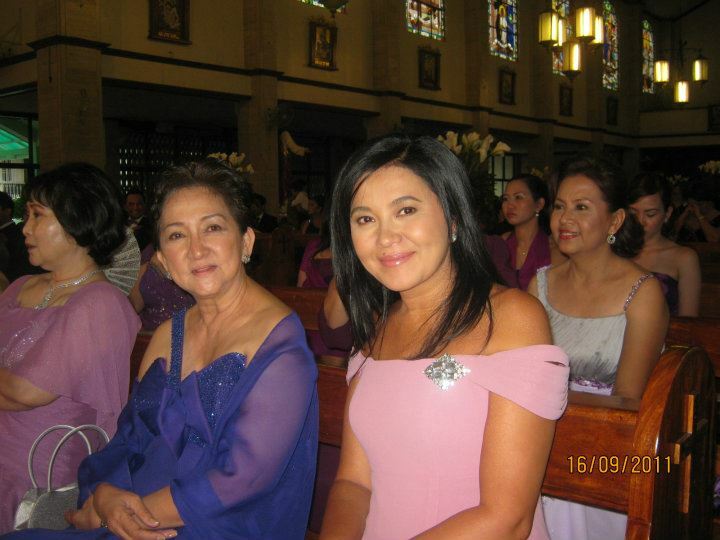 She would be attending a Wedding as a “Ninang” ( Godmother). To be a Godmother is one prestigious part in the wedding like the bride you will walk down the aisle and be presented in a principal sponsors table. Another note that Melai gave me is that the other principal sponsors will be famous personalities like Sen. Bong Revilla, Sen. Jinggoy Estrada, Phillip Salvador and Lorna Tolentino. 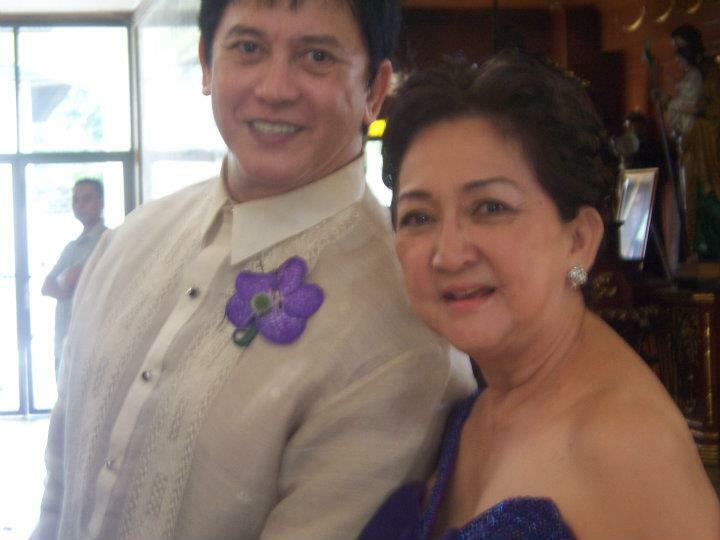 Her mom has a Spanish lineage so her facial feature resembles of a Mestiza, like our former Ms. Universe , Ms. Gloria Romero. Deep-set eyes, well defined nose bridge high cheek bones and a small lips to complete it. She is also not used to putting make up on, ever-since her teenage years. So this was really a challenge for me. She told me that she wants light make up. Strong make up makes her feel very unlike herself and uncomfortable. As a make up artist it is important for me to view clients opinion. They will be wearing the make up the whole day so ,its really important that they are comfortable, and they would feel confident about themselves. That’s really the whole point of being a make up artist. Making my clients feel comfortable,confident and naturally beautiful. Her brows are naturally thin so i reconstructed it and made her eye brows more defined. Her cheeks are prominent but to make it more define i highlighted her cheek bone as well to make her look more younger. on the lips, shes not used to dark shades of colors so she suggested that it would be on lighter side or the pinker shade. so instead i mixed two colors of lipstick one on the pink end another on the old rose tone. Her hair is naturally short and wavy,so, thought of achieving a more regal hairdo for her. 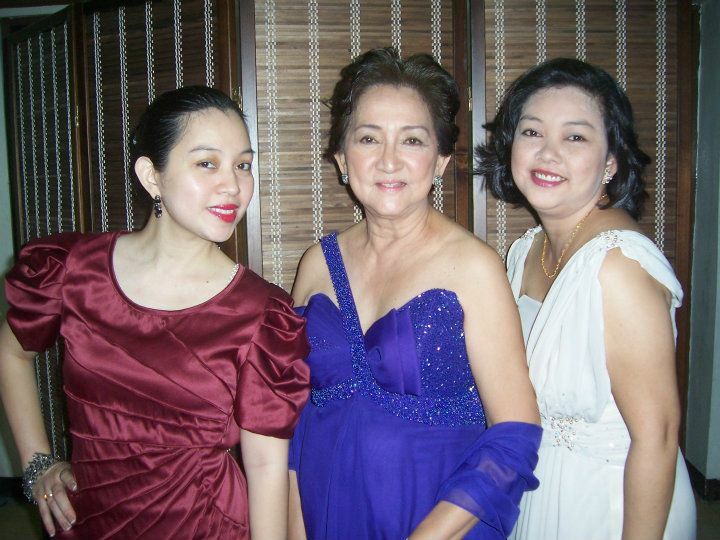 bumagay sa gown nya she looks stunning. 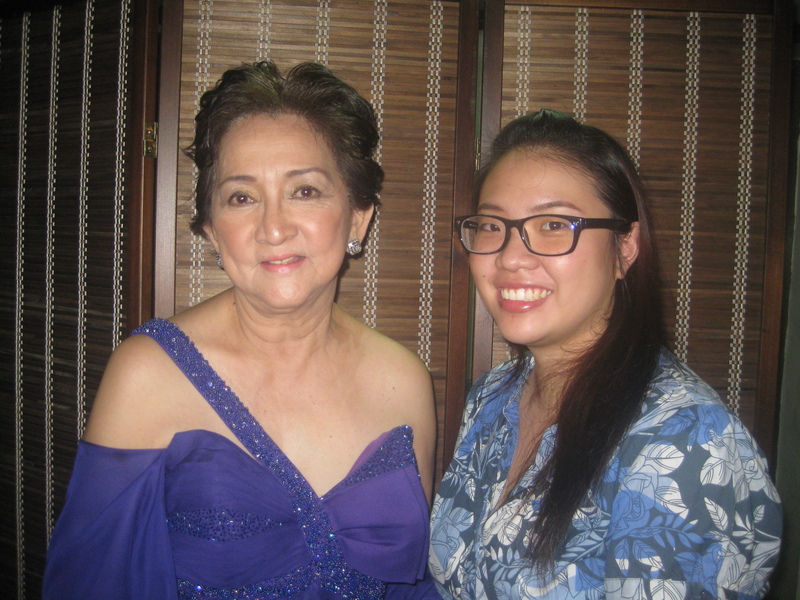 Posted on September 17, 2011, in Before and After and tagged gloria romero, godmother, make-up, mature makup, mestiza, motives, natural makeup, ninang, nybie ng, spanish, wedding. Bookmark the permalink. Leave a comment.